1982: Nichols (D). Council: 5-0 Democratic. 1986: Bobo (D) Council: 4-1 Democratic. 1990: Ecker (R). Council: 3-2 Democratic. 1994: Ecker (R) 64%. 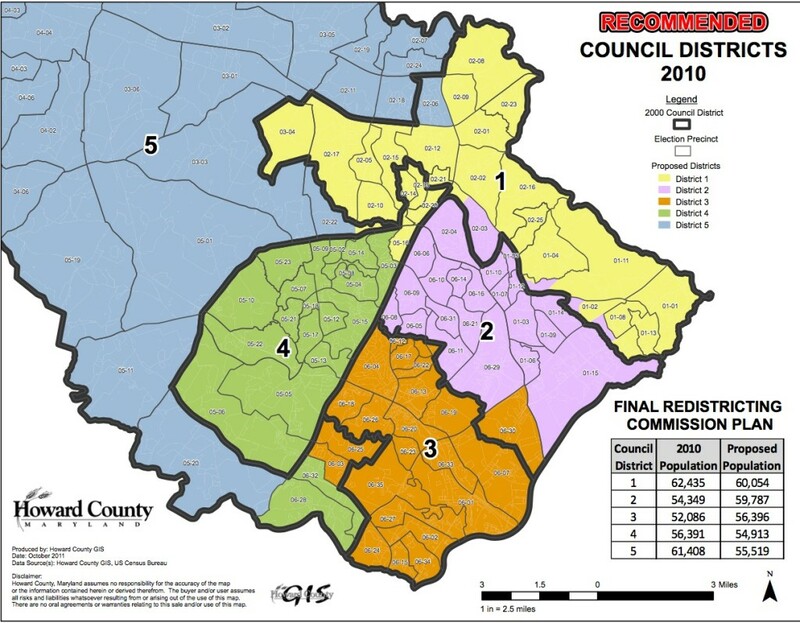 Council: 3-2 Republican. 1998: Robey (D) 55%. Council: 3-2 Democratic. 2002: Robey (D) 58%. Council: 3-2 Democratic. 2006: Ulman (D) 52%. Council 4-1 Democratic. 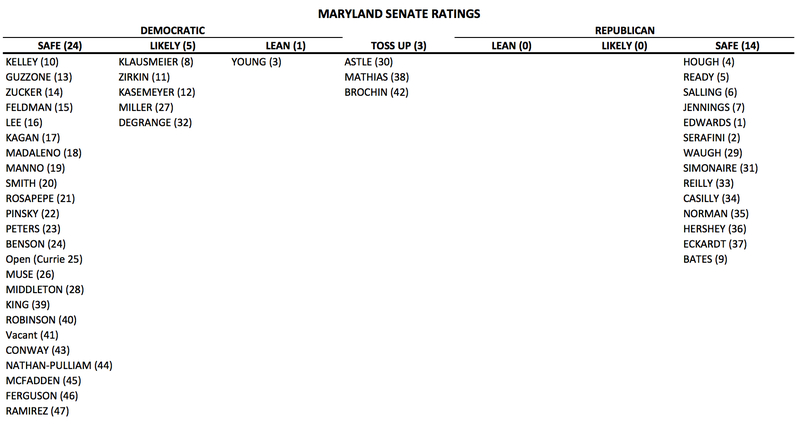 2010: Ulman (D) 63%. Council 4-1 Democratic. As Howard began to suburbanize–Columbia first opened in 1967–the more conservative, regular Democrats slowly began to lose control to both Republicans and more liberal Democrats. Republican Charles Ecker defeated incumbent Democratic County Executive Liz Bobo in 1990. Republicans managed to capture the county council four years later in their banner year of 1994, though they lost it back to the Democrats in 1998. Since their halcyon days after 1994, Republican strength has ebbed steadily. Democrats have held the county executive’s office since 1998 and now have a 4-1 majority on the council. Republicans lost one of their two remaining countywide offices in 2010 when Byron Macfarlane defeated Kay Hartleb for Register of Wills. In further bad news for Republicans, their sole remaining countywide incumbent, Circuit Court Clerk Margaret Rappaport, stepped down in 2009 for health reasons. Her acting replacement, Democrat Wayne Robey, is unopposed for the job in 2014. No Republican has bothered to file for state’s attorney or register of wills this year. Despite their erosion in support, Republicans have a very strong candidate for county executive this year in Allen Kittleman. A member of the Maryland Senate since 2004, he served on the Howard County Council from 1998 to 2004. 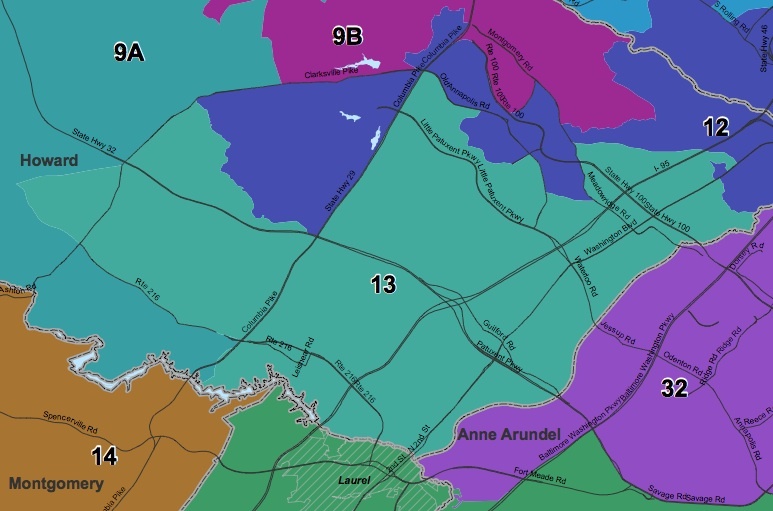 Unlike many of his constituents, Kittleman grew up in Howard, attending the local public schools and the UMBC and UMD School of Law. Most recently, Kittleman is best known for having to step down as Senate Minority Leader after breaking with his caucus to support marriage equality. An anti-death penalty former President of the Howard NAACP (correction–his father was the NAACP prez), he is not easily going to be stereotyped as a tea party Republican. More conservative on economic questions, Kittleman is wisely careful not to emphasize his party affiliation based on his webpage. His Democratic opponent, Courtney Watson, hopes to continue the Democratic streak. Like Kittleman, she has deep experience and roots in the community. Watson has represented District 1 on the county council since 2006 and previously served on the Board of Education from 2002-6. She attended a local public high school and went to Howard Community and then Loyola, where she earned her B.A. and M.B.A. 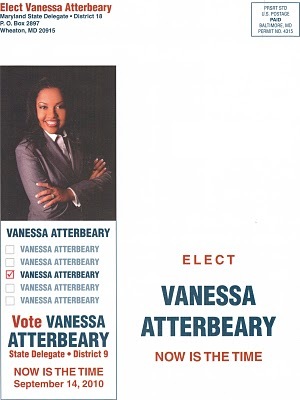 In short, this is a great race with two strong candidates. But if the Republicans cannot win with Kittleman–the strongest candidate they could have run by far–they’re just done in increasingly Democratic Howard County. We’ll see in November if Kittleman can overcome Watson’s own strengths and partisan advantage.